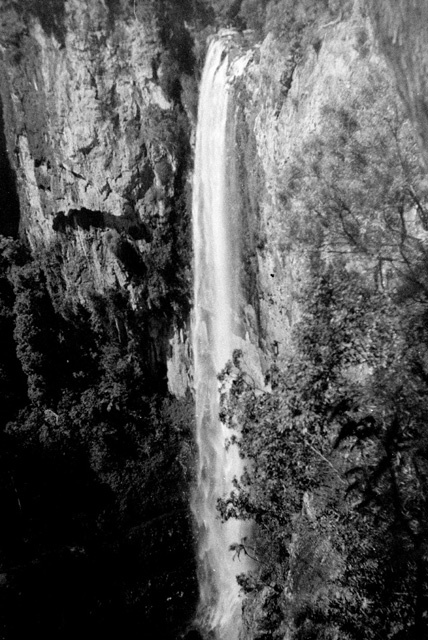 View along the 1.5 km walk to the base of Curtis Falls, Tamborine Mountain, Queensland, November 1958 [picture] / Arthur Leebold, photographer. 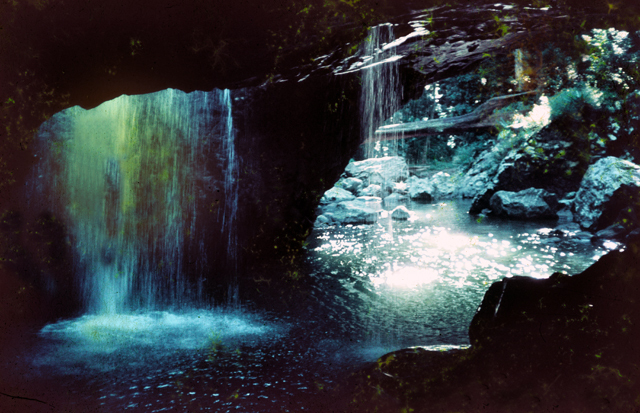 Looking out through the natural archway formed by Cave Creek undercutting the soft volcanic rock at Natural Bridge, Springbrook National Park, Queensland, 1959 [picture] / Ray Sharpe, photographer. 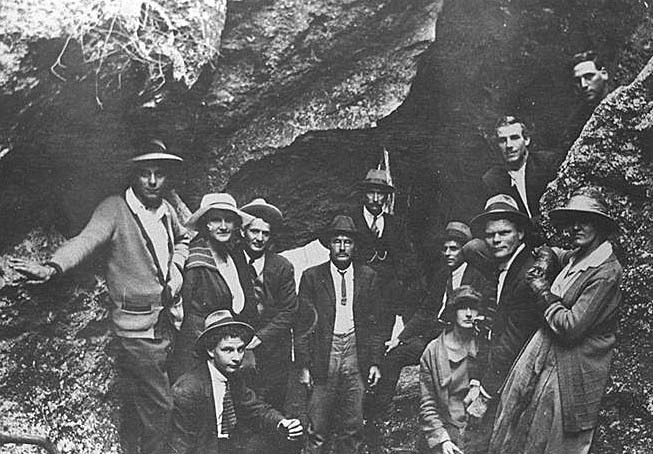 Residents standing at the edge of Ship’s Stern, a rock formation in Numinbah Valley, Queensland, circa 1919 [picture] / Photographer unknown. 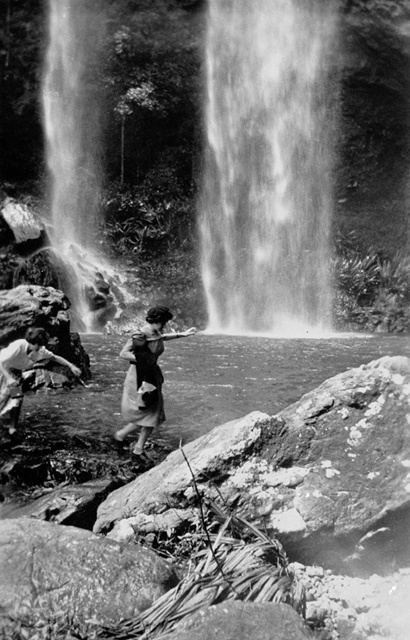 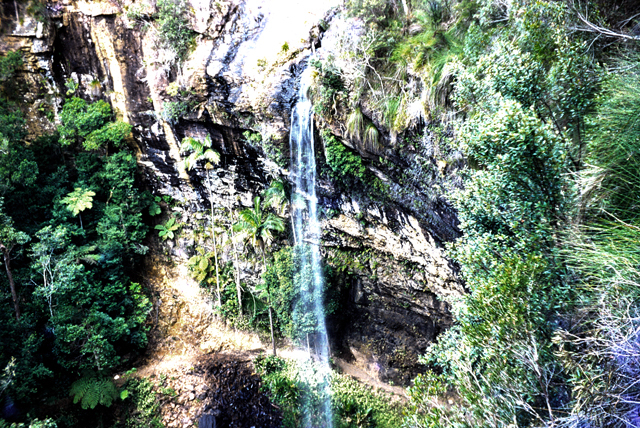 Purlingbrook Falls, Springbrook, circa 1940s [picture] / Graham Hardy, photographer. 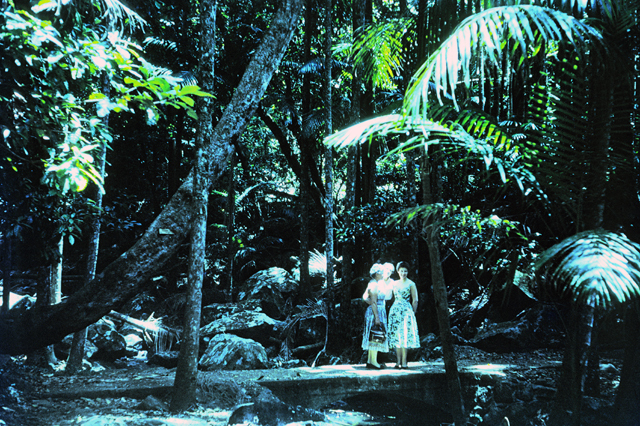 View of the swimming hole at the base of Twin Falls, Springbrook, circa 1940s [picture] / Graham Hardy, photographer. 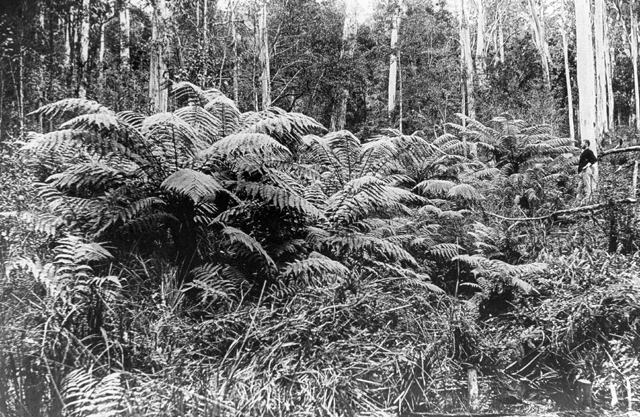 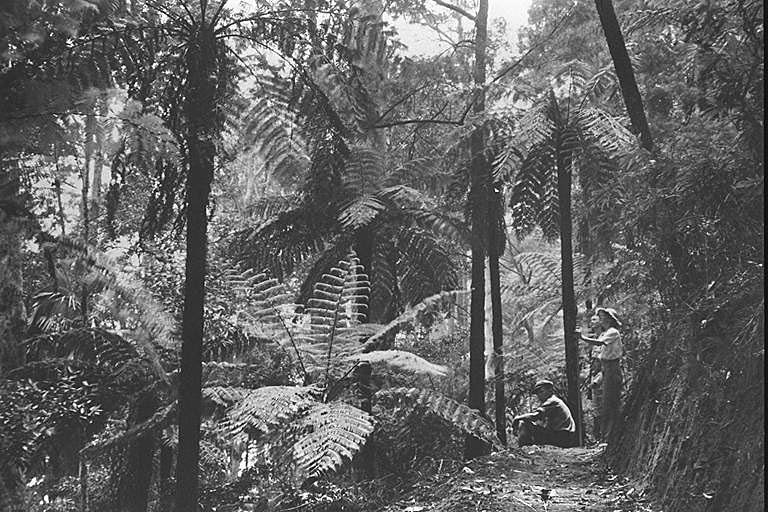 Admiring tree ferns on the Twin Falls track, Springbrook, Queensland, circa 1938 [picture] / Photographer unknown.